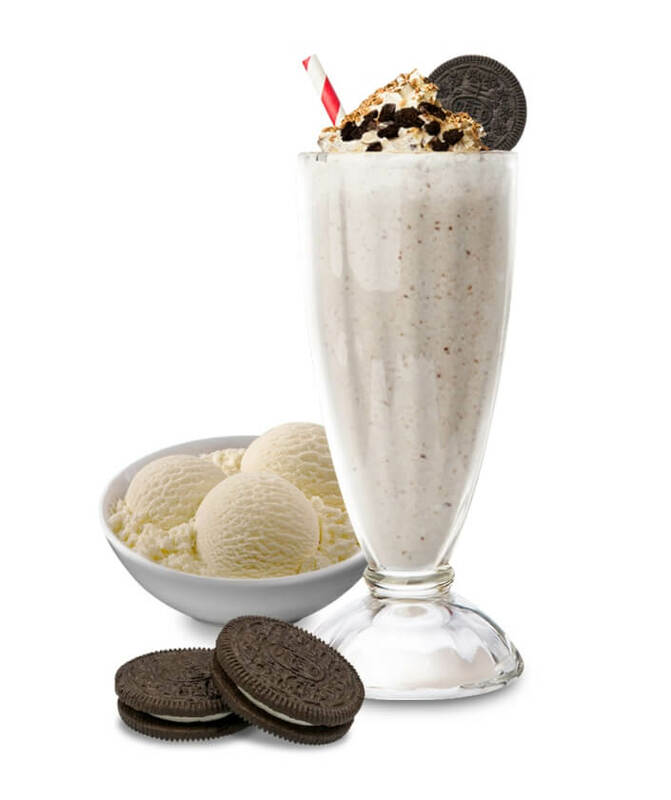 An delicious thick shake made of Oreo and Vanilla Ice Cream. 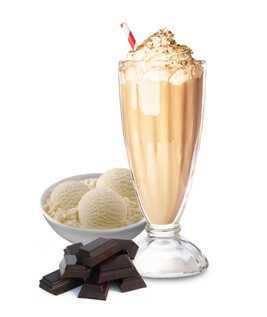 Dark Chocolate and Ice Cream. 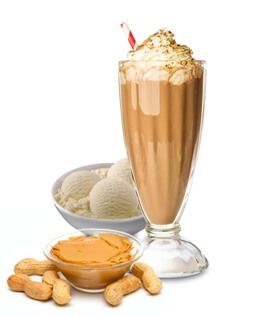 Peanut Butter and Ice Cream. 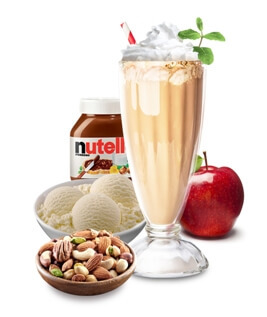 Nutella, Apple, Nuts and Ice Cream. 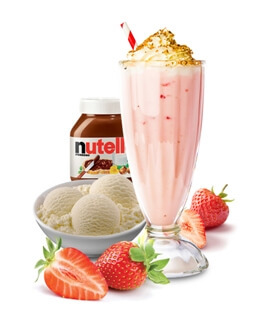 Nutella, Strawberry and Ice Cream.